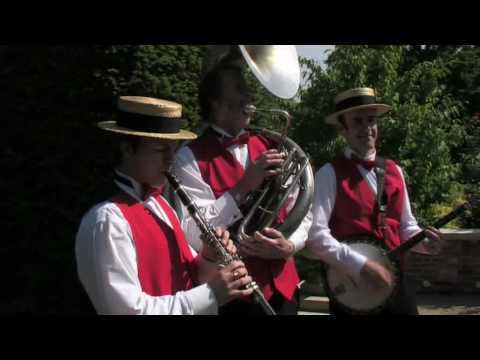 Street Three - New Orleans & Dixie Jazz is a professional dixieland jazz band available to hire. 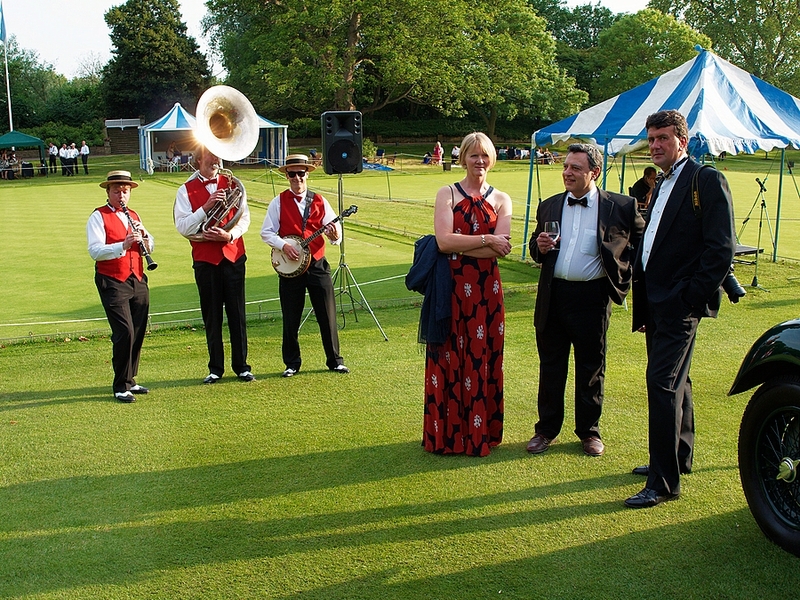 The Jazz band specialise in wedding, party corporate and funeral entertainment and their energetic jazz creates an informal and relaxed atmosphere, making them the perfect musical choice for your party! 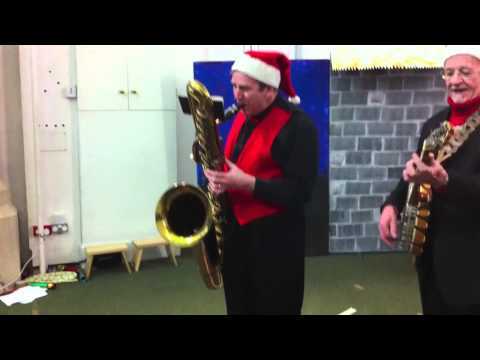 Street Three - New Orleans & Dixie Jazz have performed at hundreds of events each year and have appeared on TV, performing for famous names including Her Majesty The Queen, Robert Smith (The Cure), Gordon Ramsay, Ray Winstone, Sir Ian Botham, Paul O'Grady, & Cilla Black. 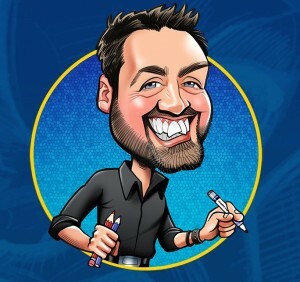 Number of Reviews and Counting... 21! 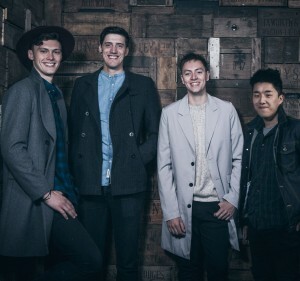 The Street Three Band were formed back in 2003 as a new generation of early jazz band. The ensemble contains today's young up-and-coming players, all of whom continue to revitalise the scene with their flair, excitement and enthusiasm. The Street Three Band are building on a fast growing prestigious reputation for being one of the most reliable bands in the UK. 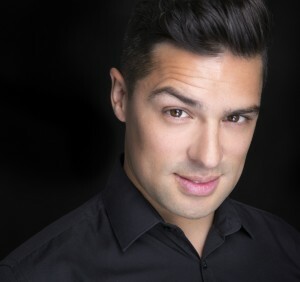 Establishing a high level of consumer confidence, the band’s credibility in today's market is clearly evident from its extensive list of widely recognised and extremely satisfied clientele. Prompt, well dressed and great music. Friendly too! Very well received. Thanks again. Great band who were professional and punctual. Really added to the atmosphere of our arrival drinks. Thanks! 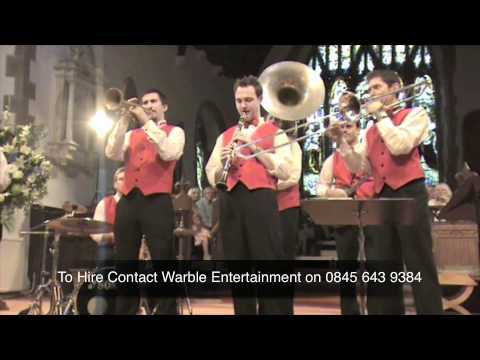 Warble were quick to respond to our original booking enquiry and the booking process was very straight forward. 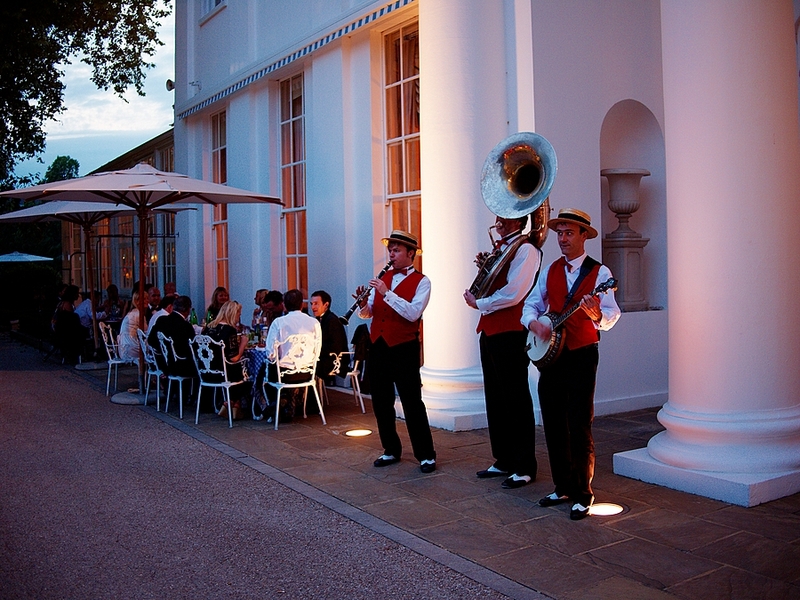 The performance met our expectations and provided a great atmosphere for our pre-dinner drinks reception. Street Three were making a return visit to the annual Epping Christmas Market. They are an excellent group and very professional. 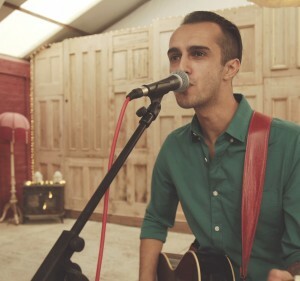 They are very approachable and played a good selection of songs. It was just what we wanted and they greatly added to the success of the market. Thank you! We were very impressed with Street Three. Great feedback from our guests, and very professional attitude. Great fun and lovely to deal with. Many thanks as ever Warble and Street Three. The music was gorgeous and a lovely mix of traditional and up-beat. Loved by all. This venue can often be a little difficult to work in, but the band were absolutely fantastic! Street Three were very professional and greatly contributed to the success of our event. They met our requirements perfectly! Coral was fantastic and very quick to respond. The band were perfect and exactly what we were after. Thank you very much. 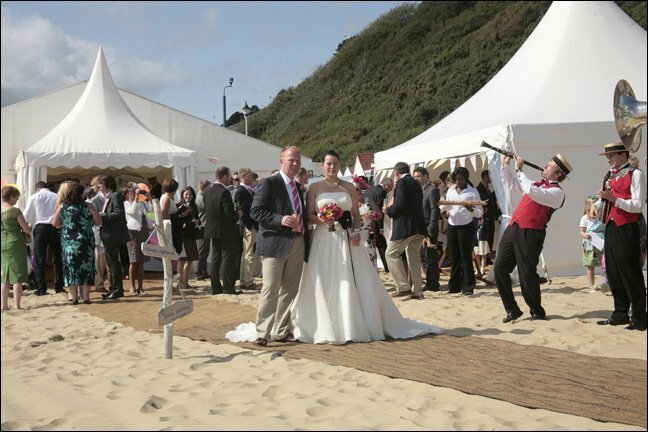 Our wedding theme was "English garden picnic" and for the drinks reception we had lawn games, ice cream, pimms etc. The Street Three really topped off the garden party feeling. 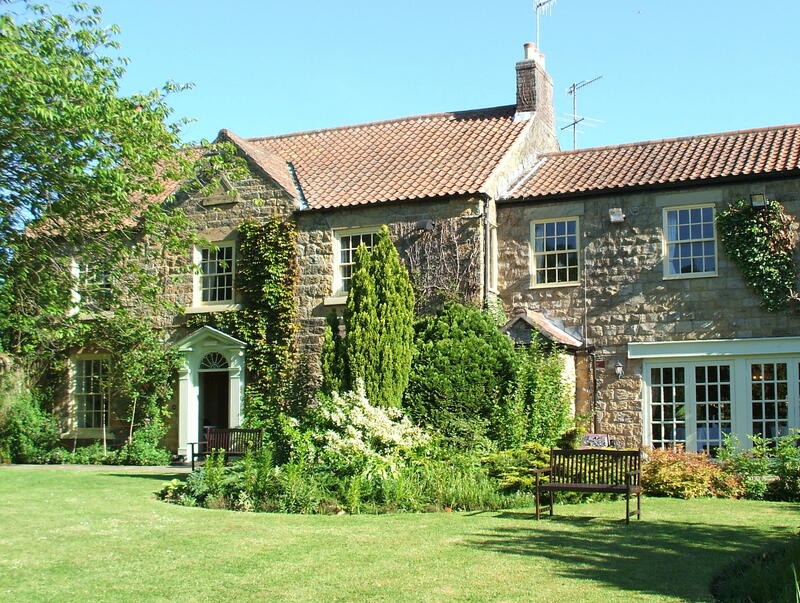 We received many comments on how our guests loved their music, very easy and lovely to listen to. Even caught our nan having a dance to them! Thank you! 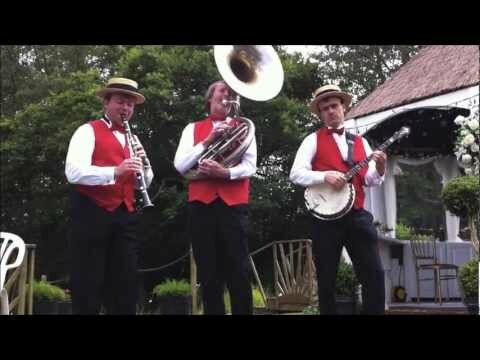 The band played during the drinks reception of our wedding and were amazing. They were warm and friendly to all who spoke to them and were very understanding and accommodating about location changes due to weather. Their playing was of an excellent standard and their two sets were just what we wanted. So pleased with our choice of booking them. Would highly recommend to all. Fantastic. All aspects of the booking were handled with great efficiency. The band was excellent, arriving on time and well turned out. They played a perfect selection of items, all to a very high standard, and moved around among the guests so that everyone had a chance to enjoy what they were doing. Overall, very well done! 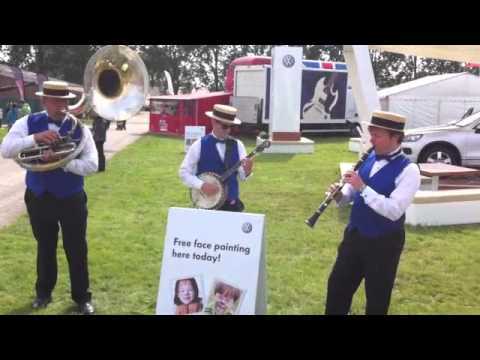 The band were once again very professional and well received by our customers. Street Three -- you were great; you did exactly what we wanted -- set the party off with a swing and put smiles on all our guests faces. Many thanks. Jamie. Fantastic band, very professional and talented musicians, they made the day a memorable one. Thank you so much. Very happy with the band. Good communiciation before the event, on time and well presented throughout the event and they are also very good muscians! An excellent band, they really captured the moment and were in the right place at the right time to capture the mood. Very impressed. Just the right band for the wedding. Street Three were brilliant! They arrived punctually, in spite of huge traffic delays on the M25 and were very friendly and helpful. 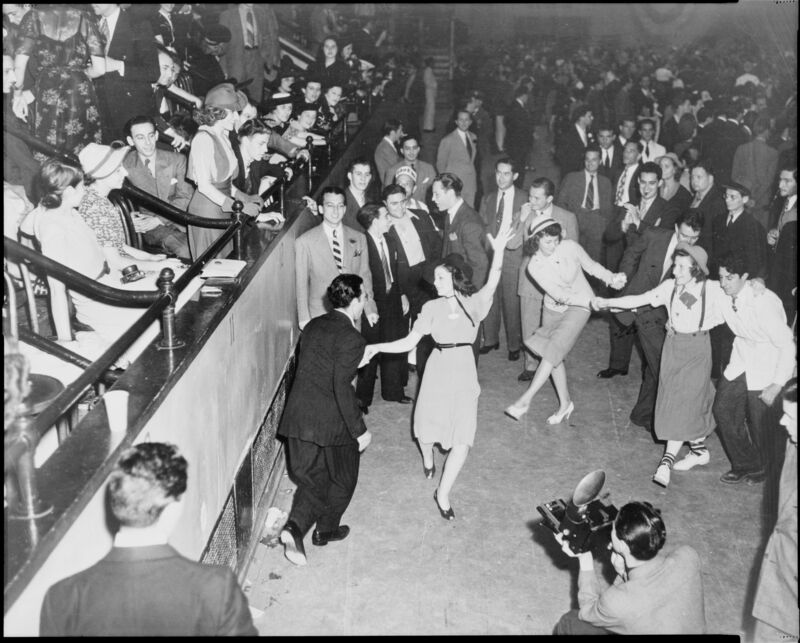 The music was wonderful and was really appreciated by everyone - Perfect for dancing and getting feet tapping. Thank you so much! Dear Marie, Thank you so much for helping us book the Jazz band for our party! They were great and you were most helpful and efficient in booking them for us! 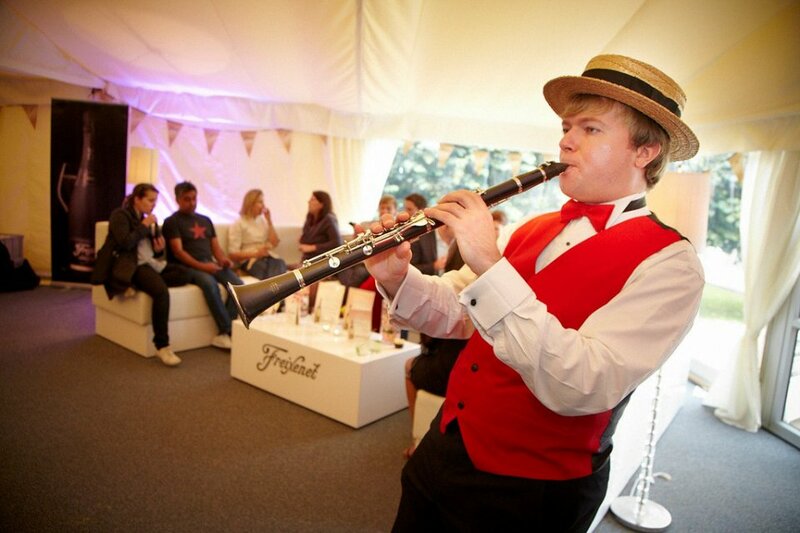 The fee depends on the line up you hire, the length of the performance and the location of the event. 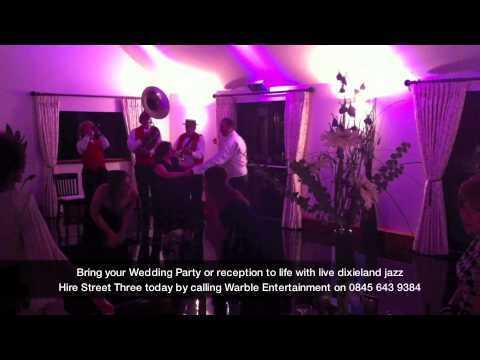 Please contact Warble Entertainment for an accurate quote. How long does the band perform for? Usually our standard sets are 2 x 45 minutes, however we can perform 3 x 40 minutes or 2 x 60 minutes. Will the band play requests? Yes, we will play requests if they are made 4 weeks before the event or at the time of booking (whichever is the longest). 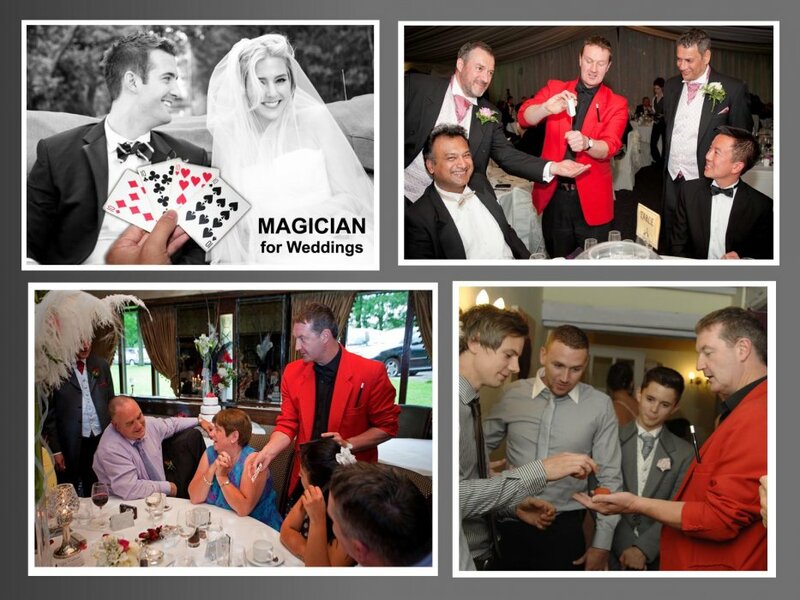 Any requests made on the day cannot be guaranteed however if we know it, we will definitely perform if for you! Will the band perform outside? What equipment does the band have? How much space does the band need? The full 7-piece band needs a clear space of around 4m by 5m approximately. The 3-piece requires a 2m x 3m space. Can the band march or walk? Yes, we offer full strolling options. 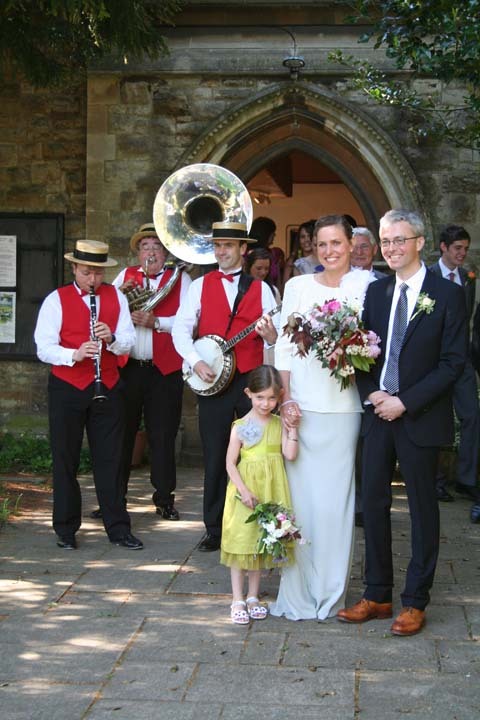 When hiring a strolling option it is important that there is enough room for the band to move around the perfomance space and between the guests. Will the band provide music inbetween their sets / during breaks? 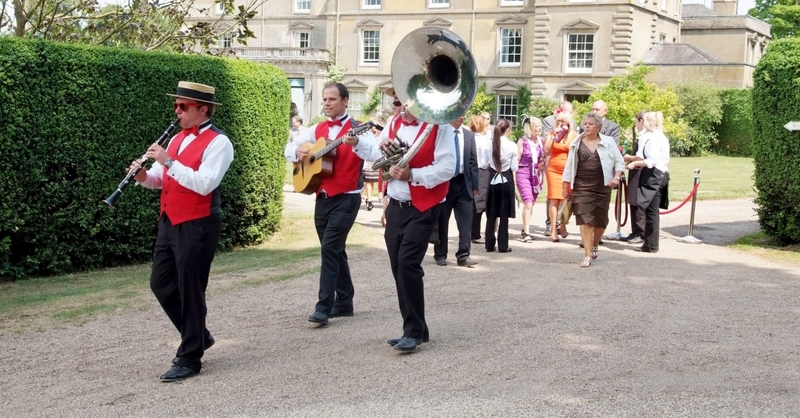 Customers who have enquired for the The Street Three - New Orleans & Dixie Jazz Band have also been interested in the following Jazz Bands based in London and the South East. For more information or further options, please call 0845 643 9384.